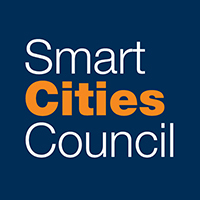 Welcome to the Smart Cities Council's page, which provides case studies, commentaries and resources to help guide communities to better outcomes for their residents. This section is exclusively sponsored by the Smart Cities Council, which publishes the free Smart Cities Readiness Guide to help local leaders craft a smart cities vision, plan of action and method of tracking progress. Ride-hailing services are one example of how urban transportation is changing. Their rapid growth is easy to understand. The people who use them like the convenience of being able to summon a ride on-demand with a smart phone app. There’s also a very real chance they are or will be disruptive for city transportation networks: the buses, taxis, light-rail, subways and personal vehicles most of us are more accustomed to. That’s why we’re sharing highlights from an analysis conducted by the School of Geographical Sciences and Urban Planning at Council Advisor Arizona State University (ASU) on the ride-hailing phenomenon. The study doesn’t claim to have all the answers. However, it offers city leaders and transportation planners a better understanding of who is using the services, where they’re being used, trends and where more research is needed. The ASU study, based on data from the 2017 National Household Travel Survey (NHTS), says that even though the number of ride-hailing trips doubled in the U.S. between 2009 and 2017, their share of total travel is 0.5%. However, the number of users is almost 10% of the population and expected to continue to grow. Who’s using ride-hailing and where? Ride-hailing customers who use the services regularly are likely to be younger, live in the more dense cities and earn a higher than average income. Older, more dense transit-oriented cities like Boston, New York City, San Francisco and Washington, D.C. have a higher percentage of ride-hailing users. However, the services also are growing in smaller metro areas. And, ride-hailing customers typically use ride-hailing in conjunction with other modes of transport such as walking, bicycling, taking public transit. Conversely, people who own private vehicles tend to use it less. Why should cities be concerned? Ride-hailing services also are cutting into traditional taxi company revenues. The study, “Trends in Taxi Use and the Advent of Ridehailing, 1995-2017,” also addresses traditional taxi services. Ride-hailing services aren’t as heavily regulated as taxis and taxi companies typically have caps on how many vehicles they can put on the street. New York City enacted a one-year freeze on the number of ride-hailing licenses it would issue to give officials time to evaluate the impacts of its growth. Study researchers also pointed out that there may be “equity” issues in that some citizens may not have smart phones to hail rides or a way to make electronic payments. At a time when mass transit ridership is dropping in many cities and multi-modal transportation networks are seen as a way to optimize urban mobility, cities do need to evaluate how ride-hailing fits into their overall transportation planning and how it should be regulated. Jesse Berst is chairman of the Smart Cities Council, which helps cities use technology to become more livable, workable and sustainable. Apply now for the Council’s Readiness Challenge, which provides tools and hands-on mentoring to help cities accelerate their smart cities initiatives.